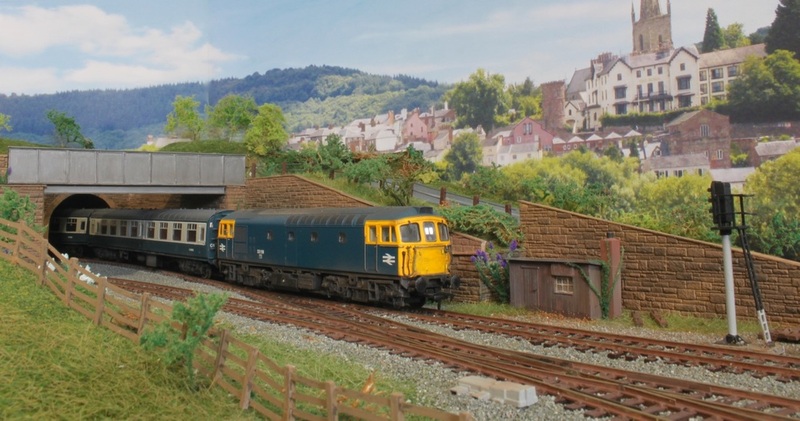 Tiverleigh is based somewhere in the West Country in the BR blue era. 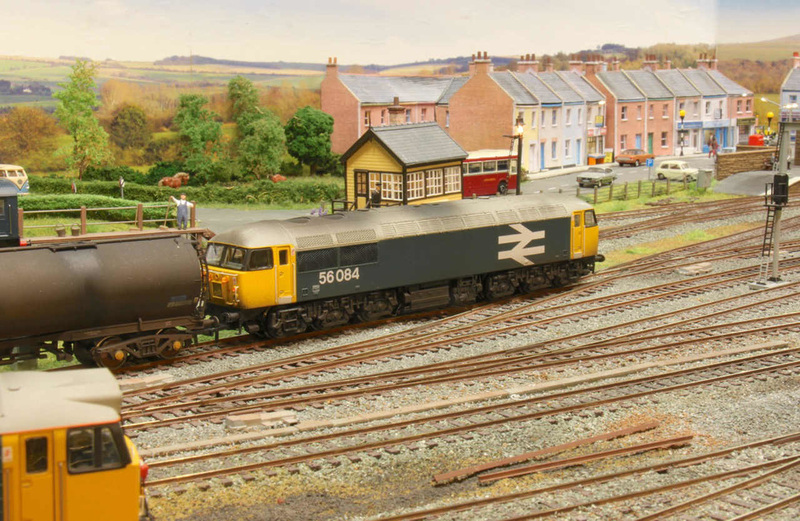 The model is a fixed layout consisting of a double track oval with branch line. Control is DCC. 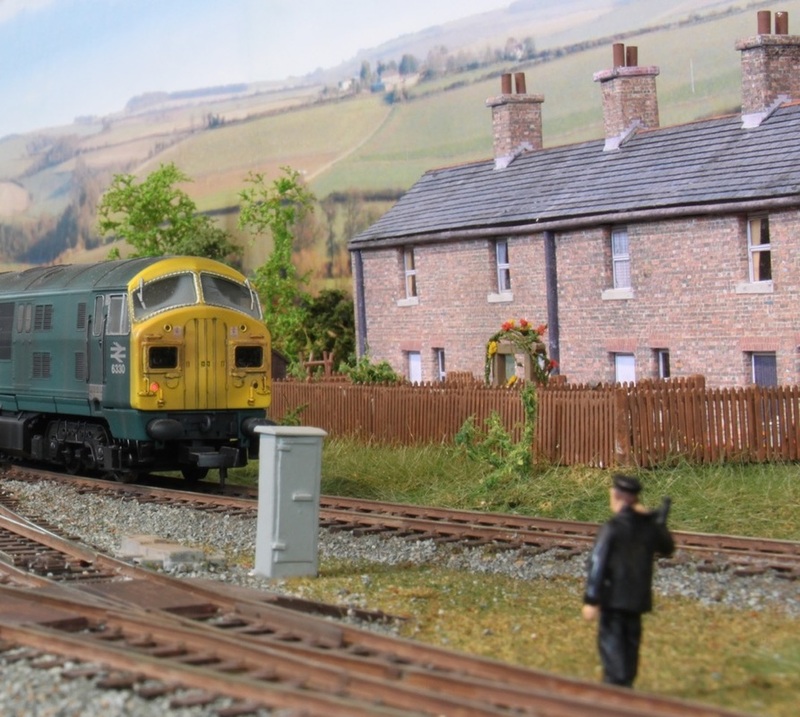 The signalling is fully automated and linked to the points using post signals from Train Tech and feathers from CR Signals with Heathcote signal controllers. The gantry signals are scratch built from plastikard. 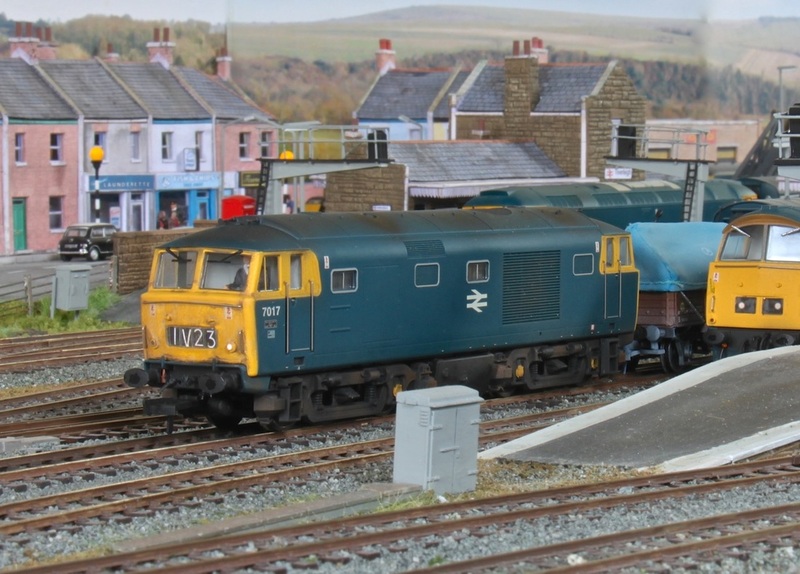 Buildings are a mixture of Scalescenes, Ratio and scratch built. 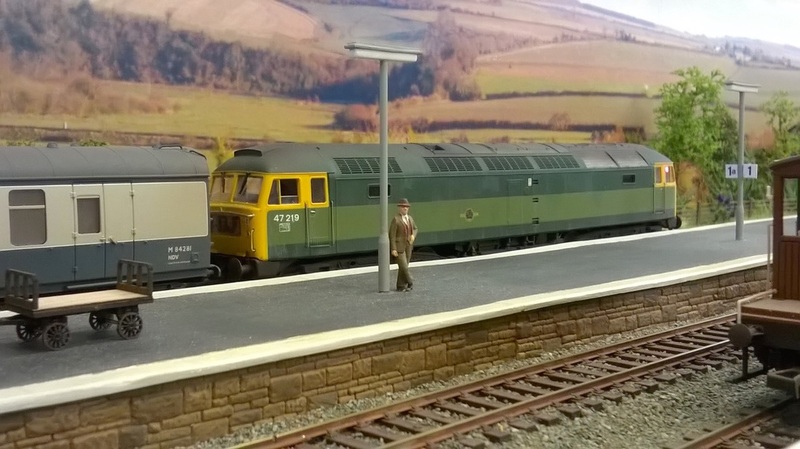 Most of the locos and stock have some level of weathering. 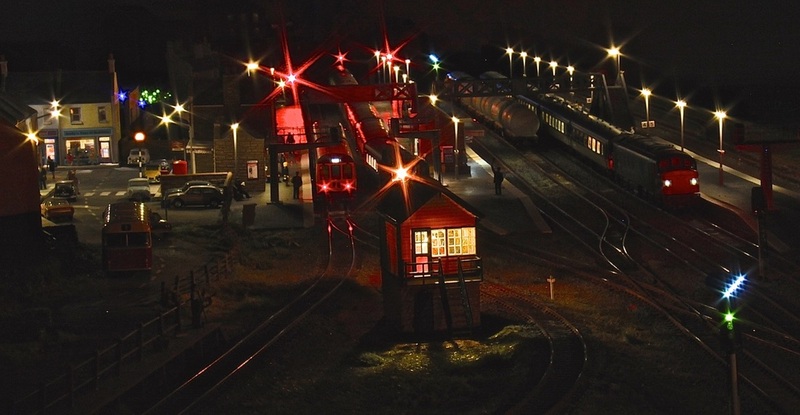 Lighting is one of the features with most buildings having some lighting and scratch built station lights.